A striking tabling acropora with a deep purple base and multi-colored corallites. 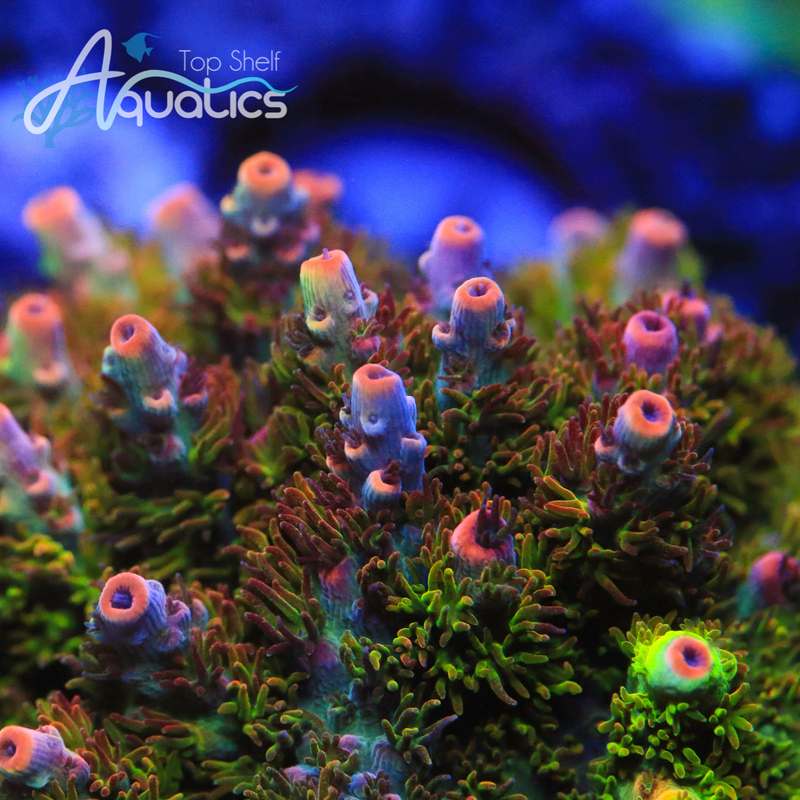 This coral grows quick and will product additional colors as it matures! Lighting & Flow: Acropora corals require moderate to high water flow and intense lighting to maintain proper color. T5’s, Metal Halides, or LED’s can all grow acropora when the proper PAR levels are provided. We recommend a 14-20K color spectrum for best coloration.